This weekend's Governors Ball Music Festival turned into a Beale St. situation after a rainy Friday left the ground perpetually soggy. Despite the mud, Sunday's weather and lineup looked like the perfect combination for festivalgoers, and what better way to cap off the day than to trade in your muck boots for bowling shoes at a rockin' official Governors Ball afterparty with Sister Sparrow & the Dirty Birds and Hollis Brown at Brooklyn Bowl? 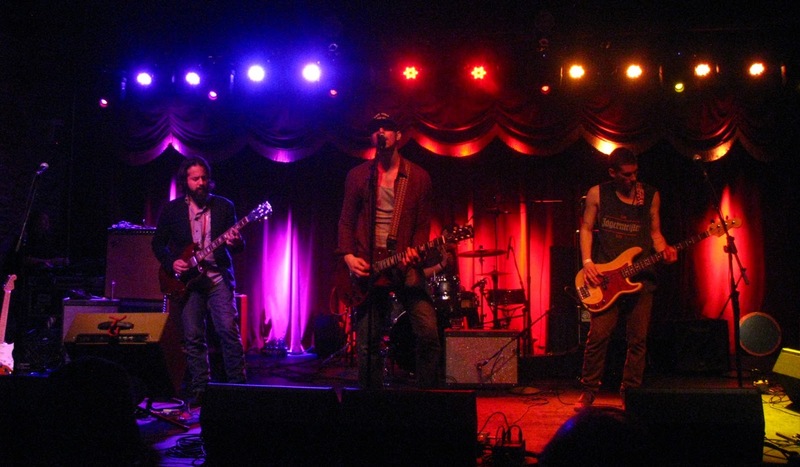 Roughly six months ago, I discovered Hollis Brown middling at Deer Tick's Brooklyn Bowl residency. In March, I went to their record release show at Mercury Lounge. And the dependable band from Queens just keeps getting better. Last night's opening trifecta was one for the books, beginning with the chugging "Ride on the Train" before slowing the tempo on the beseeching "When the Weather's Warm," and culminating with the bluesy "Down on Your Luck" that featured the best "ooh" backup vox I've heard from the band. "We're going to keep the blues going for a bit," said lead singer Mike Montali as they embarked on "Meet Me in the Morning," which was followed by fan-favorite "Gypsy Black Cat." Don't let Montali's eyeglasses fool you; he's not some Rivers Cuomo clone churning out nerd rock for teenagers. He's the real deal. If you need proof, just look where he keeps his guitar, slung low almost to his knees, so he can trade Crazy Horse-style riffs with bearded lead, Jon Bonilla. "We're gonna play a new song that we've never done live. Thank you guys for being our test audience," Mike announced. "You Deserve It All" is definitely a step in the right direction for Hollis Brown. It's a bit poppier than the rest of their canon, yet it still retains that classic rock sound. And the decision to go up an octave on the "ooh ooh ooh"s on the last go-round is a commendable one. Good news for a band that can avoid being pegged as a revival act as long as they continue with the stylistic expansions. In nature, the male birds are the flashy ones, brightly colored to both attract mates and settle territorial disputes between competitors. 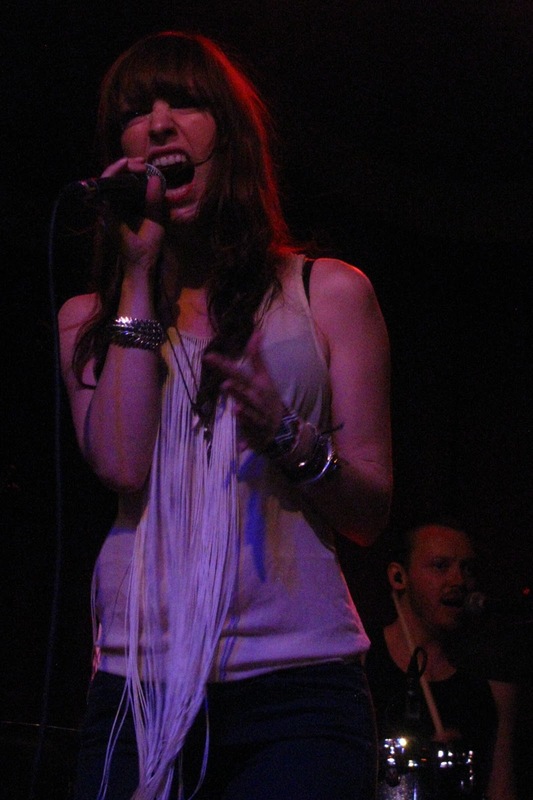 Arleigh Kincheloe, also known as Sister Sparrow, is definitely the exception to the rule. The initial shock of hearing such a powerful, smoky voice coming out of such a young, skinny woman was spoiled for me having seen them at Bowlive, but that didn't affect the experience in the least because Arleigh is such an electric performer. Strutting around the stage, whipping around her blouse's cotton cat o' nine tails with every shake of her hips ("This shirt may be the most dangerous thing I've ever worn. "), Kincheloe gave it everything she had. When she quenched her thirst, she gulped from a pitcher of water. She made you understand why they refer to certain entertainers as magnetic. It was as if there were tiny magnets in everyone's eyes, and she was a flurry of opposite poles. You couldn't help but stare at her even if one of the DBs was soloing. It took maybe two seconds after she took the stage for the venue to erupt into a full-blown dancefloor. I saw the Main Squeeze earlier in the week, and they classified themselves as post-funk. It was my first time hearing of such a genre, which I suppose they use to describe their incorporation of prog-rock jamming into upbeat R&B numbers. The label could be more accurately applied to Sister Sparrow. 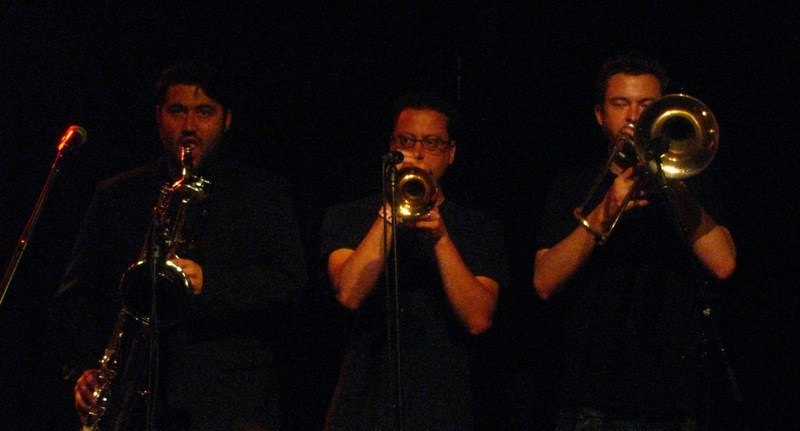 The Dirty Birds are definitely a funk band, but they are not exactly a revival group like the Dap-Kings. In the 1980s, rap music was birthed when funk records were sampled as background beats for emcees to rapidly rhyme over. Though not explicit, the hip-hop influence can be found in the sheer speed and ferocity with which Arleigh spits her lyrics. And when she slowed things down, like on "Another Ride," you could really hear the richness of that voice. Listening to her sensually pleading "I want to go on another ride," I had no doubt she was referring to the Mothership of Funkadelic folklore. Another simmering stunner was the new Joss Stone-esque number, "Mama Knows," which contained a somewhat strange spoken-word section extolling the virtues of family: "I think my mama's the only woman in the world that knows what a pineapple upside-down cake is." Family is obviously important to the singer, who enlists her brother on harmonica and her cousin on drums. In the course of the set, the band performed all four tracks from their Randy Jackson-produced EP, Fight, due this fall. The first single, "The Long Way" was a lively Ike & Tina-inspired romp that was so fun that I forgave the horn players' chanting at the end that might've been a little too reminiscent of Justin Timberlake's "Rock Your Body." Barrelling out the gate with a trombone solo from Ryan Snow, "Crawdaddies" was a gritty gumbo of Janis Joplin fronting a NOLA brass band, and Arleigh's guttural howls in "Boogie Man" would've frightened the monster himself. The sound mix in the room could've been improved with more from Arleigh's mic, the harmonica, and the bari sax, which was especially evident on the closer, "Road Trip," where they took a trip around the stage, each Dirty Bird soloing the distinct birdcall of his instrument. The hand-clapping breakdown found its way nicely into the post-set encore break applause. The band returned to the stage once more, Arleigh proclaiming, "We're gonna bring it back real old school" before turning in a soulful rendition of "Roxanne" to bring the evening to its close. Am I upset I didn't go to Governors Ball? Not really. As they say, the afterparty is always better than the party.